Which tumblr features these lovely ladies? 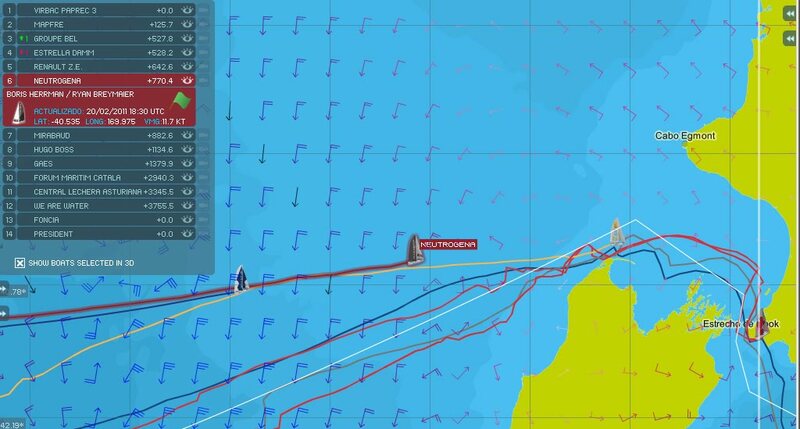 For Boris Herrmann (GER) and Ryan Breymaier (USA) on Neutrogena this evening brought a satisfaction the rookie duo would surely never have expected just a few days ago, of becoming the fourth boat to cross Cook Strait in the Barcelona World Race, passing Wellington at 1845hrs. Although the gains were expected as soon as the announcement of first Groupe Bel, then Estrella Damm’s pauses in Wellington for repairs came to light, the jump to fourth place overall will be no less special, as they begin their Southern Hemisphere day around 100 miles behind Renault Z.E. in third. The AC45 prototype is safely back at the America’s Cup Race Management base after the boat capsized earlier this afternoon during a testing day on the Hauraki Gulf in Auckland. No one on board was hurt and at first assessment the boat seems to have minimal damage. Most of the damage is to the wing’s non-structural vinyl skin. It is hoped the boat can be back on the water in a few days. Wir legten sehr gute Starts hin, hatten dann allerding noch einige Aussetzer bei der Geschwindigkeit am Wind. Und spätestes an der ersten Luvmarke haben sie uns dann platt gemacht. So kamen am ersten Tag keine tollen Plätze heraus. Auch ich muss mich an die Aggressivität einiger Teams erst gewöhnen. Aber wir lernen bei jedem Rennen in großen Stücken. Zum Ende des Tages hatten wir auch eine deutlich besser Amwind Geschwindigkeit, mit der wir hoffentlich morgen noch weiter nach vorne fahren können. 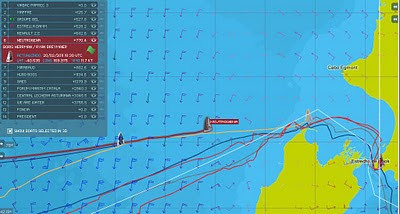 It is a bitterly disappointed Alex Pella and Pepe Ribes who are expected to dock imminently in Wellington, NZ on their IMOCA Open 60 Estrella Damm, due to arrive in close company with Kito de Pavant and Seb Audigane on Groupe Bel. Coming shooting straight across the Tasman are the young guns on Neutrogena, Boris Herrmann and Ryan Breymaier now only 270 miles from Wellington, bringing in new wind which will give them a fighting chance of passing the pit-stopped duo.